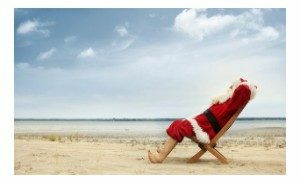 On behalf of the New Zealand Centre for Political Research I would like to take this opportunity to thank you most sincerely for your support and encouragement throughout the year and to wish you and your family a very Merry Christmas and a happy and healthy New Year! When we launched the NZCPR as a public policy think tank in 2005 we trailblazed the concept of providing a free weekly electronic newsletter in return for a donation. In order to retain our independence we knew we could not seek any form of Government assistance, nor run ads, but instead would have to rely on the support of our readers to help maintain our website, produce our newsletter and run our campaigns. We felt that a year’s worth of quality research and commentary on public policy, Parliament, and democracy, in return for an annual donation, was a fair exchange. So, for us, this Christmas fundraiser is crucial. If everyone reading this newsletter contributes right now – big or small, whatever you can afford – our future will be assured. 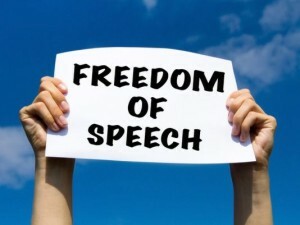 With free speech under increasing threat in New Zealand, if you want the NZCPR to continue speaking out strongly on the issues that matter to you, please support us by clicking HERE. And if you don’t like using website forms, here are the direct donation details – BUT please include your name and email address so we can send a receipt. – Regular donation: please post bank authority HERE to NZCPR, PO Box 984, Whangarei. Thanks again for your interest during the year and for the contribution you have made through sharing ideas, participating in polls, and assisting with campaigns – together we are helping to shape the future direction of New Zealand. “The freedom to criticise or ridicule ideas – even if they are sincerely held beliefs – is a fundamental freedom of society. In my view the right to offend is far more important than any right not to be offended… because one represents openness – and the other represents oppression.” – British comedian Rowan Atkinson, 2012. The ability to challenge ideas in a free and unfettered manner – even at the risk of offending others – is the foundation of liberty. Yet these days, the pressure within New Zealand society not to offend others, is increasing. For those who call a spade a spade, their fundamental right to free speech is now under real threat. Late last month, Sir William Gallagher addressed an audience under Chatham House rules, which means what was said ‘in house’ should have stayed ‘in house’. Amongst other things, he spoke frankly about the Treaty industry and the fact that multiple reparations are being made to tribal groups under the settlement process. Not only was the information about his speech leaked to the press, but instead of it resulting in a proper debate about the issues he had raised, it quickly degenerated into vicious personal abuse. The fact that some tribal groups like Ngai Tahu have had five full and final Treaty settlements – as outlined by Treaty researcher Mike Butler – was not acknowledged by the critics. They were not interested in the facts, only in isolating and silencing someone whose opinion they did not agree with. Their attack on the freedom of speech was aimed at warning off others of a like mind. On that same day, Dave Witherow, a long time columnist with the Otago Daily Times, unleashed a storm of protest and accusations of racism over an opinion piece he had written for the paper. His crime was to criticise the fact that during Maori Language Week, the Maori language was increasingly being forced upon non-Maori speakers. The controversy the article created was so extensive that the Otago Daily Times felt the need to defend their decision to print it by publishing the following statement: “An opinion page article published in this newspaper on Friday has whipped up outrage. Expressions of horror and disgust have followed Dave Witherow’s piece criticising the increasing use of te reo on national radio, RNZ, and in mainstream media. “This newspaper has also been lambasted for printing ‘racist’ rubbish and giving sustenance to such outlooks. The article, however, was published on the ‘opinion’ page, where we allow for the expression of a wide range of views. We want ourselves and our readers to be exposed to viewpoints that contradict ours and theirs; that might even offend them as this article did for many. Well done the ODT. The problem we now face is that social justice advocates pushing their particular world-view have gained significant control of public discourse in New Zealand. With a focus is on the so-called ‘oppressed’ groups in society centred on gender, race, and sexuality, they are attempting to force new norms of politically correct thought and behaviour onto society. Anyone who dares to criticise the increase in rights and privileges being awarded to these groups is labelled as a “racist”, “xenophobe”, “sexist”, or “bigot”, and viciously marginalised and discredited in order to silence any opposition to their agenda. As a result, people are increasingly reluctant to speak out on controversial matters for fear of being targeted and persecuted. The extremists intent on forcing their views onto others are winning the war. “The extent of the rot that now afflicts us was brought home to me following the publication of a brief article of mine, prompted by what I considered the excessive intrusion of Maori speech on RNZ’s National broadcasting. It was inappropriate and disrespectful, I argued, that an audience of potentially millions should be subjected to ever-increasing quantum of an incomprehensible language, and my objection would have been exactly the same if the language been Urdu, Inuit, or Uzbek. This gross bad manners, I believe, is made even more inexcusable by the fact that everyone concerned is quite capable of speaking English. It’s also why the attacks on anyone who speaks out against the Maori sovereignty agenda – particularly their plan to make the Maori language compulsory in schools – are so vicious. It takes real courage to stand up to these sorts of personal attacks, which is why those who call a spade a spade need to be not only supported, but applauded for doing so. We congratulate Sir William Gallagher and Dave Witherow and the others who know that the right to speak freely is the cornerstone of democracy. The reality is that collectively we need to take a stand against the bullies. We need to tell newspaper editors what we think because activists have the mainstream media and social media covered. If editors get bombarded with angry letters of complaint against those opposing the Maori sovereignty agenda – with few in support – it’s not difficult to see why they cave in. They say there’s power in truth. And the truth is that New Zealand is an egalitarian society. While Maori supremacists are driven by their belief that the Treaty has given them superior rights, it’s up to the rest of us who believe in equality, freedom and democracy to speak out against their dangerous agenda. It’s the same with the foreshore and seabed claims that now cover every square inch of New Zealand’s coastline. Unless the public stands up and says that the claims being made by tribal groups that they have used our coast “exclusively” since 1840 are rubbish, they may just get away with it. The Maori elite will then be a giant step closer to dictating to ordinary New Zealanders where and how we can use our beaches and the marine environment. The changes they would introduce, would not be immediate, but over time they would become obvious. Tribal groups would seek to exclude the public from the coast, citing so-called environmental or sustainability concerns. Wardens would then be appointed to police the area and keep the public out, while retaining free access for themselves. They would charge anyone they could for using their beach and marine area, especially those with commercial interests – because it’s about money not mana. It is indeed ironic, but not unexpected, that most of the claims that have been made have included unfettered rights to extract minerals from the foreshore and seabed, when so many iwi have publicly opposed mining on the coast. The opportunity of earning a perpetual income stream from mining royalties has a funny habit of changing views. As the former Minister Chris Finlayson explained at the time the Marine and Coastal Area Act was being passed into law, there is nothing in the Act to stop tribal groups setting up 100-year leases with overseas interests to mine the foreshore and seabed for rare earths and other minerals found in our resource-rich coastal area. With our research showing that indifference is being interpreted by claimants as acceptance, the more people that oppose the claims, the better chance there is of defeating them. To address this, the NZCPR is considering the possibility of running a public information newspaper advertising campaign early next year to raise awareness in coastal communities about the threat that exists from the 200 claims lodged in the High Court. We would use the ads to encourage concerned property owners to engage in the claims process before the February 26th cut-off date. In any society, there will always be groups pressuring the Government to advance their own self interest. But the Maori language and coastal claims issues are very good examples of why free speech is vital to the healthy functioning of a democratic society. In both of these cases, the stakes are high, but it’s only when the underlying agendas of the vested interest groups are exposed that the public becomes aware of the real danger. So, as you head off for the summer break, I would like to make a final plea. If you believe the NZCPR is making a positive contribution to public affairs and if you would like to see us continue to defend free speech, protect our coast from tribal claims, and fight all of the other important battles that lie ahead, then please help us to do so by clicking HERE.